Need more new patients? We can help. See why your peers choose VivioSites. operatories and grew practice revenue. We believe great dentists and great dentistry are imperative for quality healthcare. That's why we're committed to helping the best dentists connect with the patients who need them- quickly and easily. Be an industry leader in connecting great dentists to more new patients. We believe great dentistry and great dentists should be available to all. We are committed to expanding access to great dental care to everyone who needs it. 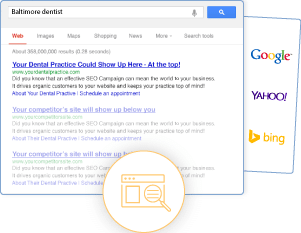 Through our portfolio of digital marketing services, we seek to help great dentists grow their practices by making them easy to find and identify online. 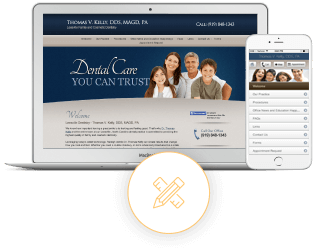 Dental websites designed to make a great first impression and convert new patients. Engage and retain current patients while increasing new patient referrals. Just $59/month! 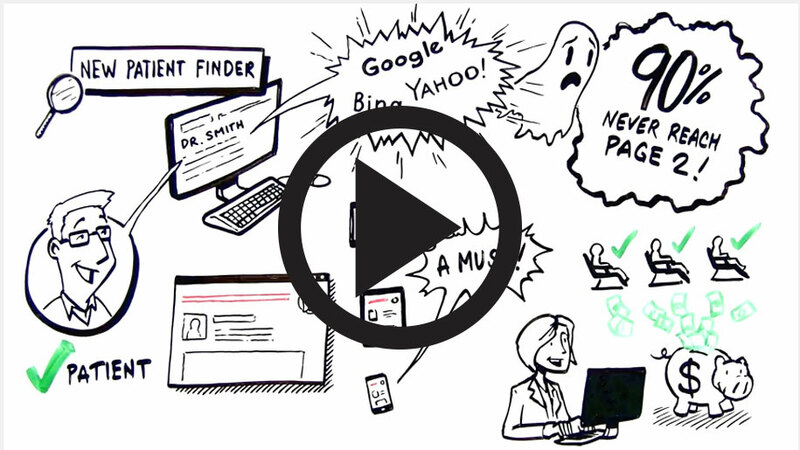 Rank highly on Google, Yahoo!, and Bing, so that the right new patients can find you. "We recently had a web page redesign with VivioSites and couldn’t be happier with the achieved results. Communication throughout the entire process was so easy – via email and p..."
"I have been using VivioSites for 4 months. I am blown away by their customer service, technical expertise and most importantly, their results. My VivioSites website has produced mo..."
"I have been using VivioSites for my orthodontic practice and I have been very happy with their services. The designs have a finished, professional look and they navigate very well...."
"I have to tell you how happy I am with my office website courtesy of VivioSites. It is so easy to upload new info and edit the existing info. I have had nothing but positive respon..."
"I started with VivioSites last summer. They gave our website a complete makeover and it looks fantastic! We had a website prior to joining them, but it appeared old and outdated. V..."
"At my previous office I tried two of the competitors and there really was no comparison. They treated you like a number and that is the way the websites looked! You really want tha..."
"You get quality work, excellent customer service, and they improve the growth of a business. Changing our website and SEO to VivioSites has helped us reach out to patients in the a..."
"I have been a client of VivioSites since Jan 2013. They got me up and running with very little effort on my part. I am a computer neanderthal so I was intimidated at first but thei..."
"VivioSites website production is creative, responsive, and prompt. Needed updates and corrections are done virtually overnight. I am very happy with the level of customer service..."
"When I found VivioSites, I was just i have been looking for an attractive, professional, flexible and easy to administer website. Traffic to the site has been great and we have ha..."
"When my doctor told me he purchased a website, I immediately felt ‘lost’. 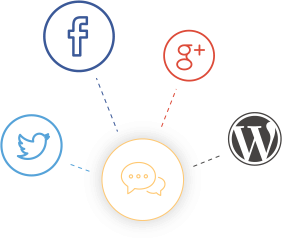 No one in our office, including myself, is the least bit ‘website literate.’ But ..."
"When I signed up with VivioSites in 2009, it was due to a decision to begin development of an internet presence, and begin to develop SEO for my practice. I wanted a website with..."
"I found VivioSites at both the Greater NY and Yankee Dental meetings a couple of years ago. They provided far and away the best presentation of any website company I had interviewe..."